Rep. Eric Swalwell (D-CA) on Monday announced his intention for running for president on "The Late Show With Stephen Colbert." Not everyone was excited about the what they saw. In fact, Swalwell has made a name for himself as anti-gunner and, like practically every other 2020 Democrat, plans to run on the gun control issue. While he wants to be known as a strong supporter of "gun safety," his claim to fame is wanting to nuke gun owners. 2020 is going to be hilarious ?? Nice. 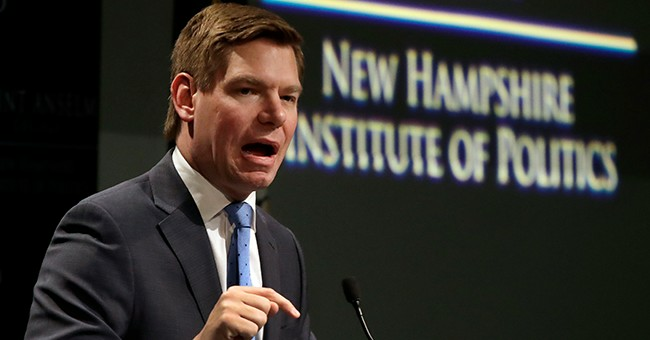 Rep. Eric Swalwell AKA Duke Nukem who wants to nuke gun owners, is running for president. And then there are those who can't even take his candidacy seriously. Eric Swalwell enters the Presidential race and has immediately taken the lead as the most unrecognizably generic white guy. Bet he's second guessing wanting to nuke gun owners. But hey, the clown car is turning into a clown parade. And it's great news for President Trump.